Microsoft has today released a new piece of beta software, and this time it’s search-based. Called the Bing Desktop Beta, the software is, predictably, a beta release of a desktop-based search tool that Microsoft is hoping will give people a reason to make the switch to its search engine, and leave Google behind once and for all. The app itself is something of an oddity. For starters, it doesn’t really do a great deal other than offer two features, both arguably a little on the boring side and one definitely a tad on the pointless side. Think we’re being harsh? Then read on! Bing Desktop provides an automatic update of the Windows Desktop Background image to the Bing home page image each day. In addition, Bing Desktop offers an easily accessible yet unobstrusive search box to streamline searching without opening the browser. Once you download and install this beta release of the Bing Desktop, you’ll be greeted with two features. The first allows users to have their desktop wallpaper change to match the Bing wallpaper. It’s all done automatically, and the wallpaper itself will change each day, just like the real thing. Awesome? Not really, but there’s more! The Bing Desktop app also gives Windows users access to an always there, though unobtrusive search bar. You know, like the one that’s in your browser already. 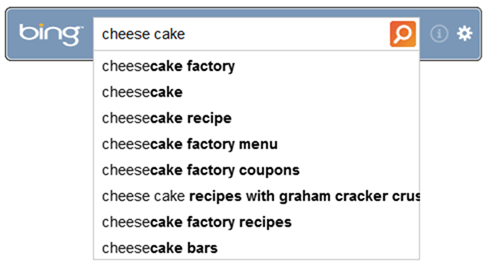 Have you spent the evenings pining for a Bing search bar on your desktop? The cheer up bucko, for today is your lucky day! Now we are obviously being a little harsh here, but you get our drift. The app has a feel about it that suggests it would be much more at home as part of a Windows 8 installation menu, rather than a separate download that we can’t help but think the vast majority will just skip over. After all, most people will be using Google for search anyway, will they really dump the Goog just to get a search bar on their desktop and a fancy rotating wallpaper? No, probably not. We can’t help but be a little disappointed in Microsoft. With all the brains and all the money at its disposal, could the Redmond army not come up with a better way to entice people to switch from Google to Bing than to throw together an app that basically offers some wallpapers and a search bar? Guess we answered our own question already. Editor’s note: It’s somewhat surprising that Bing Desktop Beta does not run on Windows 8 Consumer Preview, not even in “Compatibility Mode” pointed towards “Windows 7”. 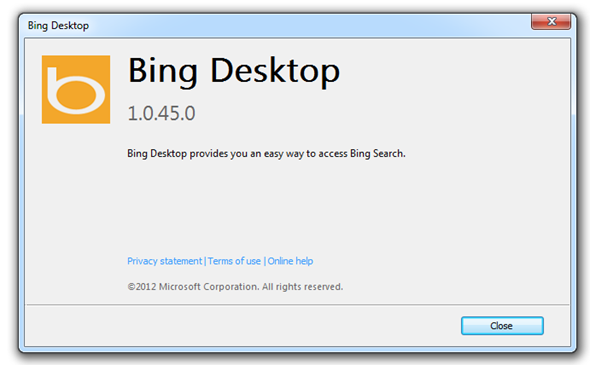 Therefore, Windows 7 is a big compulsion if you want to install Bing Desktop Beta.